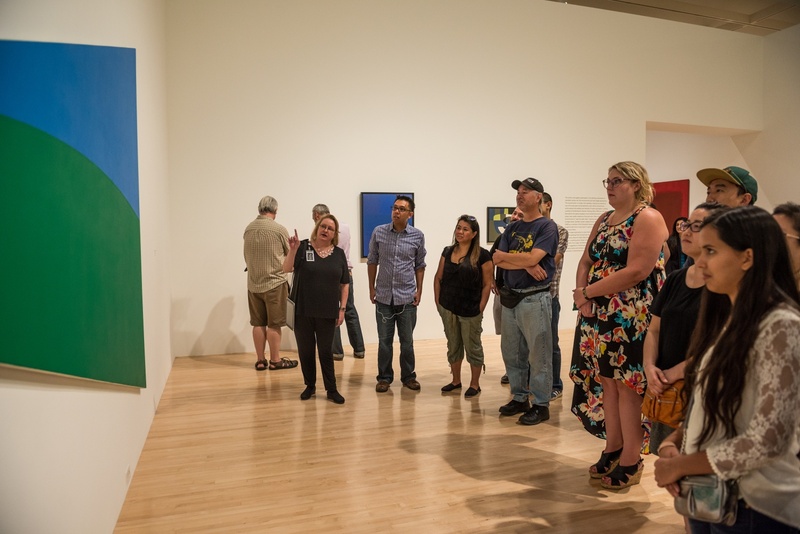 Educators offer conversational walkthroughs of current exhibitions at MOCA Grand Avenue and The Geffen Contemporary at MOCA. Tours begin in the lobby and last about 45 minutes; no reservations are required for individuals. Classes and groups should make reservations for a Group Tour as outlined below. Exhibition Highlight Tours are generously supported by the Los Angeles County Board of Supervisors through the Los Angeles County Arts Commission. Private, educator-led walkthroughs are a fun and exciting way to see the museum and to learn about our collections and current exhibitions. We are happy to customize tours to fit your interests. Call 213/621-1745 or email education@moca.org at least two weeks before your preferred tour date. Discounts are available for self-guided groups. Private walkthroughs are also available for private events.